Havana, the very name conjurs up images of luxury, nights of dancing and days filled with fun. Those thoughts have good basis too; Havana is visited by more than one million tourists every year. Havana Harbour- it's easy to see why it's so popular! Havana has a history that is rich in culture and filled with legends of times passed. Havana was founded in 1515 by Diego Velaquez de Cuellar, a mighty conquistador. 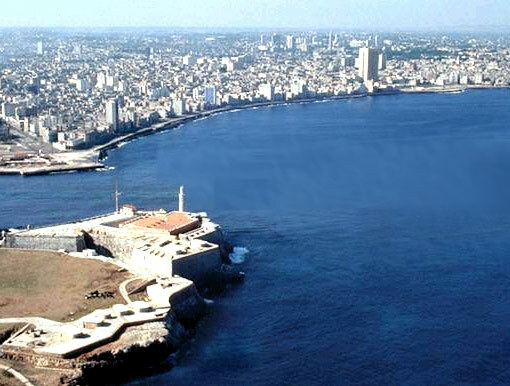 Havana was chosen because of its location on the sea, which made it an easy sea port for trading. In the past, Havana was regularly attacked by pirates, which only led to the charm it holds today. Havana has a gorgeous, pleasant climate that is balmy and perfect for vacations. The city is divided into three regions; Old Havana, Central Havana and Vedado. The charm of the city is magical. See Old Havana and experience the magnificent architectural masterpieces. The Catedral de San Criscobal is there, as well as the Plaza de Armas. The Plaza de Armas is a square that was formed in the 1600s and was used for meetings for politicians, religious officials and more. You want to see Old Havana on foot so you can get up close and personal. Also not to miss in Havana is the cigar museum. Whether you are fan of the cigars or not, it is a well known fact Cuba makes the best cigars in the world. You can also tour the Havana Club Rum Factory. In Vedado, you must see the US Special Intrests Building. There is no US Embassy in Cuba, so this is the stand in. It is where Cubans must go to apply for visas to the United States and is a hub for political demonstrations and protests. Havana is full of life and energy. There is always something to do in Havana at any hour. There are things you simply must take in. A tour of Havana in an old 1950s car is at the top of the list. So popular is this that you must book your tour beforehand. The beaches of Havana are beautiful and are the picturesque we all have in our minds when we dream of paradise. White sands, aqua blue waters and palm trees will make you never want to leave. Put on your dancing shoes and rumba. Wherever there is sassy, lively music, you will find people doing the rumba. No trip to Havana is complete without trying their delicious Cuban cuisine. Spicy, flavorful and like nothing you have ever had before, it will be a meal you won’t soon forget. The La Fontana Restaurant is especially well known. There are also restaurants that serve fare more like what American tend toward if you are longing for a taste of home. Be sure you don’t leave Havana without buying ice cream off of a street vendor. It must be a combination of the creamy ice cream and the charm of the city that makes it taste so good. Vacations in Havana are the kind memories are made of! What’s the current political situation with the US and Cuba? Any end in site to the embargo? They have en entire cigar museum? Sign me up! What a beautiful city. Too bad I can’t legally go see it, stupid politics.